When he first began documenting the adobe churches and moradas — some dating back to the 17th century — that were subject matter for his best known artworks, several of the structures were in a state of collapse. 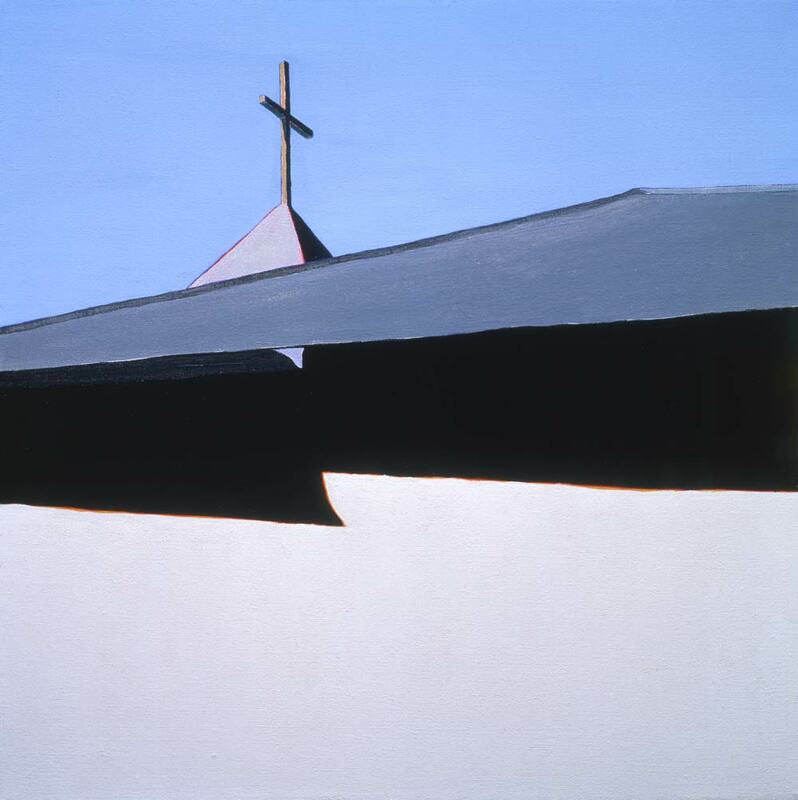 Waldrum founded the El Valle Foundation (named for “la iglesia de San Miguel” in El Valle New Mexico) to raise consciousness of, and funds for, the most endangered structures. The video below was made by Heese/Waldrum Studios to be shown at fund raisers for the endangered historical buildings. Despite the efforts of Waldrum and the El Valle Foundation, la iglesia de San Miguel was razed in September of 1985.